I was twenty years old when I started the diagnostic process for Cushing’s disease. I had just come back from a wonderful semester interning in DC and, unfortunately I brought back more than just sharpened professional skills and a catalogue of great memories–I returned to California with a pressure headache like I’d never felt before. My DC roommate and I learned to describe my pain in shorthand, we referred to it as the man standing on my face. Seven doctors later I had a name for what was going on in my head: Cushing’s syndrome. I had seen a neurologist, nephrologist and a ENT, among others, and had been put through a battery of tests designed to rule diseases out until something clicked. And once the medical professionals realized that all of the symptoms I had lived with for years pointed to Cushing’s, I began to test some more. Not fun being the one in a houseful of six girls that has to collect all of her urine in a giant jug for 24 hours. Not fun at all. But I pushed through. I started seeing an endocrinologist who told me we had to figure out if the tumor causing my disease was in my pituitary gland or my adrenals. 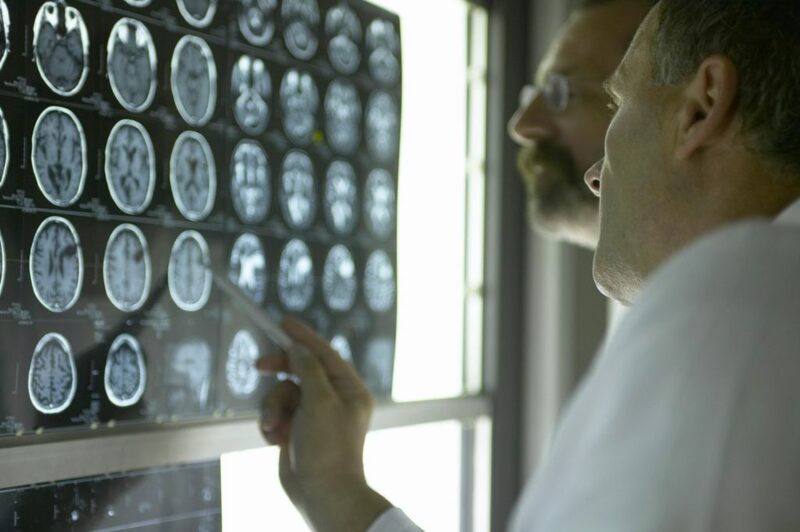 After the first of what would become many MRI’s, it was determined that there was no doubt that I had Cushing’s disease and, soon after, I was scheduled for neurosurgery to remove the tumor on my pituitary that was wreaking havoc on my body. So in 2000, during spring break of my senior year at UCSB, I flew home to Northern California to meet with the doctor who would be performing the first surgery I had ever had. And, yes, it was brain surgery. I held it together during the meetings and blood tests that followed. I almost lost it when I was told that I might have to have a spinal tap during the procedure, but my parents calmed me down. I made through as they brought in a first nurse, then a second and eventually the head anesthesia, because no one could find the right vein for the IV. Soon enough they were wheeling me through the halls of UCSF Medical Center for the big surgery. It was not until I was out of surgery, released from recovery and checked into my room that I began to balk. But soon enough strong pain medicine won out and I faded in and out throughout the night in a fitful, dreamless sleep. They always say things look different in the morning, and as the sun came up I began to crack. The fissures in my veneer only worsened as I was helped out of bed and looked at myself in the mirror. I was bruised and swollen and my nose was taped and packed with gauze. Every moment since the man began to stand on my head and force the pain and pressure into my head and into my life began to build in my mind. The tests, the health problem that none of us had ever heard of and the fact that I was in a hospital gown instead of on a beach somewhere continued to stockpile as I held onto the cold ceramic sink in front of me. I was 22 years old and all I could think was that the pain that I felt in that moment was too much and I doubted that I would ever recover and be well. And so I started to cry. In that moment 16 years ago, I was experiencing a panic attack (which was quickly noticed by my mother and brought to the attention of the nurse). It was my first but will certainly not be my last. The tears that I shed were also not alone. They came and went repeatedly during the long process of healing after my tumor was removed. In the years that followed gentle tears and ugly weeping inevitably happened as I dealt with my second and third recurrences of the disease. And now, as the third battle with the beast I call Cushing’s continues to rage on, it often morphs into different symptoms and illnesses that continue to push me farther from healthy. And so I cry.